Larry Arnn has spent a lifetime studying the life and accomplishments of Winston Churchill. 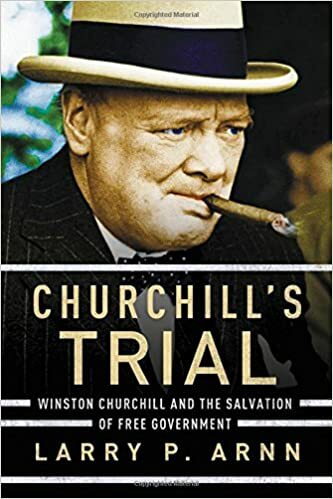 In his lively Churchill’s Trial, Arnn artfully reminds us that Churchill was not just the greatest statesman and war leader of the twentieth century, but also a pragmatic and circumspect thinker whose wisdom resonates on every issue of our times. In absorbing, gracefully written historical and biographical narration, Larry Arnn shows that Churchill, often perceived as inconsistent and opportunistic, was in fact philosophically rigorous and consistent at levels of organization higher and deeper than his detractors are capable of imagining. In Churchill’s Trial Arnn has rendered great service not only to an incomparable statesman but to us, for the magnificent currents that carried Churchill through his trials are as admirable, useful, and powerful in our times as they were in his. Churchill’s Trial, a masterpiece of political philosophy and practical statesmanship, is the one book on Winston Churchill that every undergraduate, every graduate student, every professional historian, and every member of the literate general public should read on this greatest statesman of the twentieth century. The book is beautifully written, divided into three parts–war, empire, peace–and thus covers the extraordinary life of Winston Churchill and the topics which define the era of his statesmanship.